Kazzata is a web site and an on-line repository service of 3D object files needed for any 3D printer. 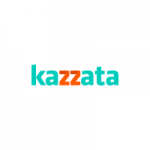 Kazzata will also function as a community for 3D designers who will upload, promote and sell their designs through the site. At present there is a huge competition between blue chip companies to develop and manufacture the 3D printers hardware. We are selling the content for the printers and hence fulfilling the need of the printer owners for content. In my vision within less than 10 years there will be 3D printer in almost any household. There will be many products that people will not buy in a shop but rather will print it in their house. I can hear in my mind sentences such as: “honey, we have guests tonight, can you please print this luxury cutlery for this party”, people printing their fashionable dress, jewlery or swimsuit. If you are skeptical I can only tell you this: Less than 20 years ago I worked in an Apple distribution business and at that time color printer or scanner cost more than $20,000 and only rich Pros bought it. Nowadays we have it in each of our homes and we are buying those color printers even for our kids for less than $100. This is the process that will happen to the 3D printers industry but much faster. Prices will go down, quality of hardware will go up and people will buy it for their own use.